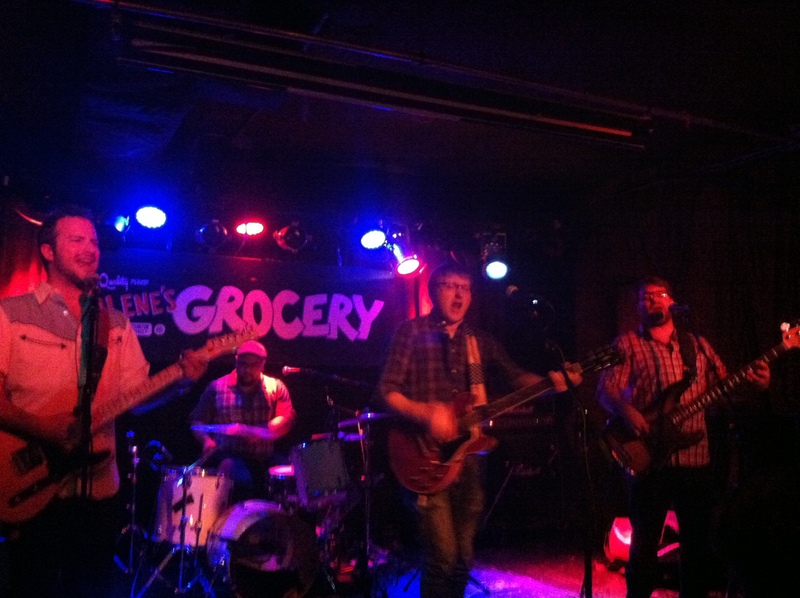 We kicked off our CBGB festivities with the indie rock stylings of Boston natives Friendly People who played tunes from their record Shake along with debuting a brand new song and tearing through a cover of Dr. Dog's "Shadow People" (see video below). From there we heard from South Carolina natives and 2013 Road to Roo winners Stop Light Observations. Next up was Andrew Choi aka St. Lenox who has had a busy year booking gigs through Sonicbids from Paper City Music Festival to MidPoint Music Festival and of course a slot at CBGB Festival 2013. We ended our night with the sweet sweet synth-pop of Clementine & the Galaxy whose hit single, "Robot," got the whole crowd dancing. The next night we returned to Arlene's Grocery for another four sets from some Sonicbids favorites. First up was Heymun who travelled all the way from Sydney, Australia and put together a band of New York natives with only two days of rehearsal time. It was impossible to tell that the band had only begun practicing Heymun's songs a few days prior as they played a flawless set including turns on two of Heymun's singles "Wanderlust" and "By Sea." Second to the stage was The Ballroom Thieves who we had run into earlier that day in a Lower East Side guitar shop. The highlight of their set may have been a new song called "Archers" which we were lucky enough to capture videos of in rehearsal mode at the guitar shop and later that night on stage at Arlene's (see video below). Next was The Nightmare River Band whose unique brand of beer soaked folk immediately grabbed the audience's full attention, especially on "Oh Me Oh My." To cap off our Friday night we were treated to a set from New York natives Modern Rivals, who featured songs from their 2012 EP Sea Legs mixed in with a handful of fresh new jams. Our final night of showcases kicked off with The NYC August Rock Band who were a throwback to the heyday of CBGB having perfomed at the famous club alongside acts such as Blondie and Television. Next was Hotfox whose fuzzy garage rock was a fitting change of pace for a festival celebrating a byegone era of grimy punk rock. Check out their performance of "Mountain Tiger" here and you'll see exactly what we mean. The final act of the weekend to take the stage was Austin, Texas based Quiet Company who had the crowd completey entranced from the first beat to the last and were not afraid to get the crowd involved on songs like "On Modern Men."